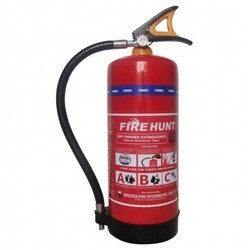 We bring to our clients Fire Extinguishers Mechanical Foam Type. 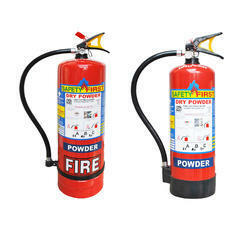 These are designed to extinguish A & B class of fire involving wood, paper, cloth, textile, stationery. These provide a very special blanket effect on flammable & volatile liquids like oil, petrol, kerosene etc but should not be used on electrical or short circuit fires. 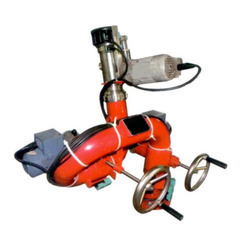 Complete Weight - Empty with Cap.Cartridge + Hose : 35 Kg. Complete Weight - Charged : 84 Kg. 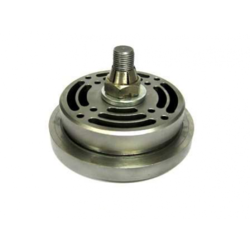 Overall Height with Cap : 800 mm. 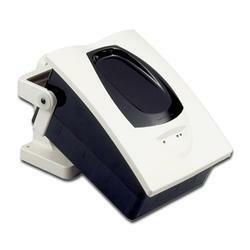 Working Temperature Range : 27+-2º C.
Test Pressure : 30 Kg/cm2. Working Pressure at 27+-2º C : 15 Kgf/Cm2. Diameter of Cylinder : 400+-10 mm. Range of Discharge : 10 meters. Duration of Discharge : 60-120 Seconds. Length of Hose Pipe : 5 meters. Co2 Gas Cartridge / Cylinder : 1 Kg. Specification no. : IS 10204. Co2 Gas Cartridge / Cylinder : 0.060 Kg. 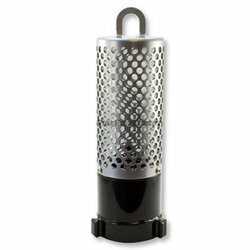 Complete Weight- Empty with Cap.Cartridge + Hose : 5.5 Kg. Complete Weight - Charged : 14.5 Kg. Working Temperature Range : 27+-2º C : 15 Kgf/Cm2. Test Pressure : 25 Kg/cm2. Working Pressure at 27+-2º C.
Diameter of Cylinder : 175+-5 mm. Duration of Discharge : 25-90 Seconds. Length of Hose Pipe : 650 mm. 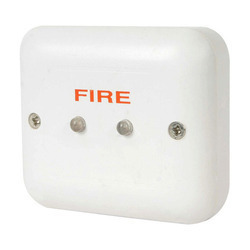 The unit is designed to ensure that Alarm Signal can be actually transmitted to all locations. To prevent any missing signal specially for the close room.